When you were a child, your parents took care of you. They made sure you were safe and fed and had the things you needed. As you and your parents get older, though, the tables might begin to change in a lot of ways, including financial. CNBC has some suggestions for helping your parents with their financial life. An important first step can be talking to your parents, whether you have concerns about how they are coping now or just want to be proactive. Regardless of how well your parents are managing their own finances currently, life continually shows us that stuff can happen unexpectedly. So you should know where your parents keep important papers, such as their wills and their deeds. You should have the name and contact information for their advisors, such as lawyers, bankers and financial advisors. It might be a good idea for them to add you to their accounts. And you should have a financial power of attorney and a health care power of attorney, especially if both your parents are not alive and capable. Keep an eye out for anything suspicious. When you visit, do you see stacks of bills piling up, or notices of late payment? Have your parents withdrawn a lot of money lately or made strange purchases? Are they making changes to their wills or other documents? Do they seem to be donating unusual amounts of money to charity or donating to charities that are not consistent with their past donations? These and similar things might prompt a discussion with them. 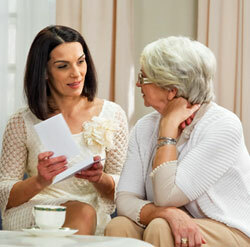 Make sure your parents are alert to scams, which often target the elderly. For example, one common scam involves a young person who calls pretending to be their grandchild, then tells a tale of woe that ends with the caller needing money immediately in order to pay bail or get out of a foreign country. Remind your parents that they should never give out personal information such as their Social Security or Medicare number, bank or credit card information over the phone unless they have initiated the call and are certain that the person they are talking to is legitimate. Put your parents on the Do Not Call Registry, if they are not already on it. The National Council on Elder Abuse also says you should sign up for AARP’s Fraud Watch, which alerts you to the latest scams as well as providing information on how to avoid being scammed. Remind your parents that they should never sign anything they don’t understand. Help them find a professional, such as a lawyer or financial advisor, they can call for help in understanding documents. Taking steps like these should help you – and your parents – rest easier.